It gives me a pleasure to address this joint consultative meeting between the African Union Peace and Security Council and the United Nations Security Council. This gathering is a further testimony of the growing partnership between the African Union and the United Nations. I have no doubt that your meeting will agree on further steps aimed at enhancing the relationship between the two organs. Indeed, our capacity to meet the ever complex and changing peace and security challenges confronting the African continent is contingent upon our commitment to work together and the judicious combination of our respective comparative advantages. 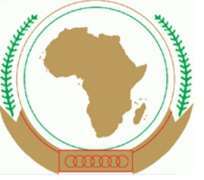 In welcoming you in Addis Ababa, I would like to express our gratitude to the Security Council for its support to African endeavors. Over the years, our partnership has enabled us to make strides in our quest for lasting solutions to the conflicts and crises that continue to afflict the continent. I can point to the significant gains recorded in Somalia thanks to the invaluable support extended by the UN, in the relations between Sudan and South Sudan, in the Great Lakes region and in Mali. Today's meeting provides an opportunity to exchange views on all these situations, and to discuss how best to consolidate the progress achieved. Indeed, we cannot relent, as the path towards lasting peace and stability requires a long-term investment to address the root causes of violence. We should continue to urge the concerned stakeholders to persevere in their efforts and continue to demonstrate the necessary resolve and political commitment. We should ensure that peace dividends swiftly materialize to provide further incentive for peace. We should be firm with spoilers to prevent the reversal of hard-won gains and the relapse into violence. While the progress made is undeniable, Africa continues nonetheless to grapple with serious peace and security challenges. These range from inter-State conflicts, some of which have so far defied all attempts at peacemaking, to internal crises, many of which are linked to governance problems, to organized crime and terrorism, as so tragically highlighted by the cowardly attack against the west gate shopping mall in Nairobi. Overcoming these challenges would require more sustained efforts from the continent and its political leaders, concrete steps to improve compliance with relevant instruments of the AU, and addressing the developmental needs of our people, a greater willingness to compromise from the parties involved, and an enhanced partnership with the rest of the international community in support of African-led initiatives. I am glad that the issue of the enhancement of the partnership between the African Union and the United Nations features on your agenda. It my earnest hope that your discussions will mark another step forward in the building of an innovative and flexible relationship based on a creative reading of the provisions of Chapter VIII of the United Nations Charter. Two weeks ago, the Peace and Security Council, meeting in New York at the level of the Heads of State and Government, reviewed in-depth the African Union-United Nations partnership. It formulated a number of proposals on the way forward. On my part, I note with satisfaction that the Peace and Security Council intends to convene regular meetings in Addis Ababa with the Security Council members to exchange on issues of common concern. I look forward to the early implementation of this decision. As we meet here, nowhere on the continent is the need for a forward looking partnership more relevant than in the Central African Republic. The dire security and humanitarian situation prevailing in that country for a swift and coordinated United Nations response, notably through flexible, predictable and sustainable support to AFISM-CAR, to enable the early deployment of the Mission and the creation of the required conditions for a follow on United Nations operation.. In this respect, we look forward to the early adoption by the Security Council of the resolution on the matter submitted by France. I thank you and wish you successful deliberations.